Ohio State Representative Mike Dovilla attended last Thursday’s Board of Education meeting to formally present the District with its most recent “Excellent” rating on the Local Report Card issued by the Ohio Department of Education. 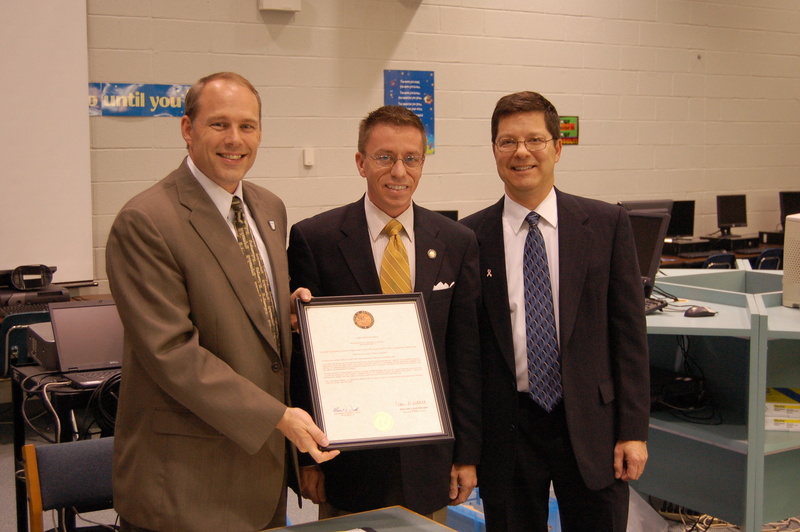 Pictured from left to right: Olmsted Falls School District Superintendent Dr. Todd Hoadley, State Representative Mike Dovilla and Board of Education President Frank Pedicini. National Merit Scholarship Semi-Finalists Pam Keller and Sohan Vartak, along with National Merit Commended Students Kristin Allen, Kevin Candow, Stephanie Kiroff, Hayleigh Sanders, Nicholas Wickham, and 2012 National Achievement Scholarship Program Semi-Finalist Amber Black, were honored at last week’s Board of Education meeting. State Representative Mike Dovilla also presented the students with special commendations for their outstanding achievements. 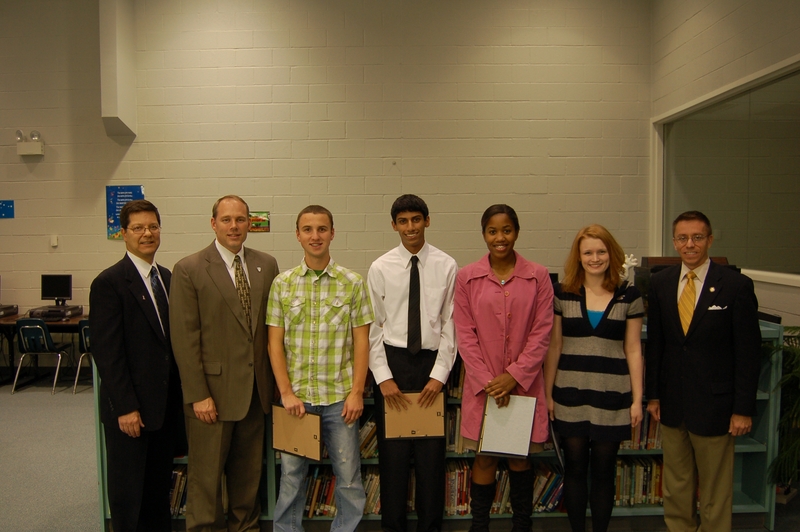 Pictured from left to right: Board of Education President Frank Pedicini, Olmsted Falls School District Superintendent Dr. Todd Hoadley, Kevin Candow, Sohan Vartak, Amber Black, Pam Keller, and State Representative Mike Dovilla. 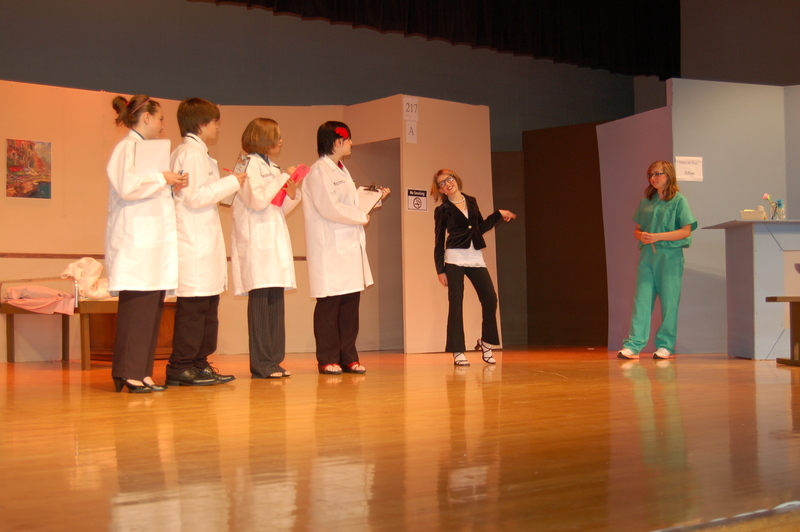 OFMS DRAMA CLUB PRESENTS “HOSPITAL” – DEBUT PERFORMANCE TONIGHT! Thurs., Oct. 27th @ 7:00 p.m.
Fri., Oct. 28th @ 7:00 p.m.
Tickets available at the door: $5 adults; $3 students/children. 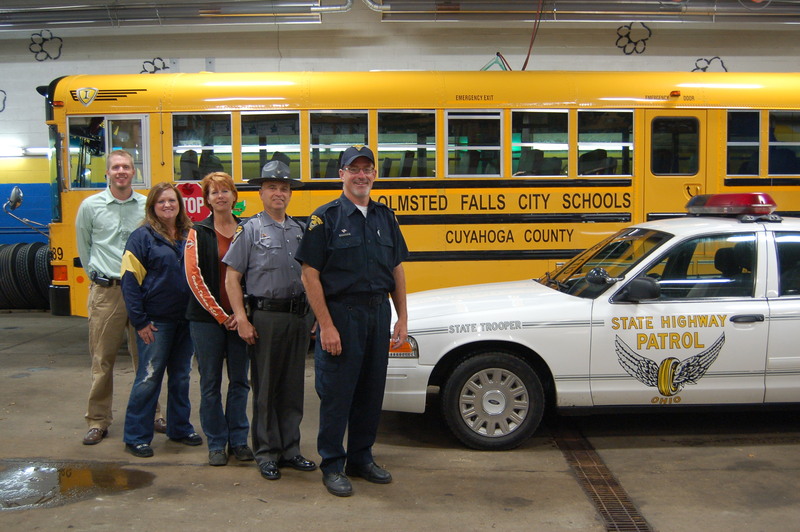 Last Thursday, the Olmsted Falls School District Transportation Department hosted the Ohio State Highway Patrol for the day as part of National School Bus Safety Week. State Trooper Jeff Fide and Ohio Department of Public Safety Officer Chip Hilling, member of the MVI (Motor Vehicle Inspection) Team, rode along on two bus routes and monitored traffic, bus and pupil safety. During their visit, five busses in the District’s fleet were also inspected and passed by the team. Pictured from left to right: District Transportation Manager Heath Krakowiak, On-Bus Instructor and Bus Driver Nancy Hunt, Bus Driver Karen Corrigan, State Trooper Jeff Fide and Officer Chip Hilling from the Ohio Department of Public Safety’s Motor Vehicle Inspection (MVI) Team. PRIDE COMMITTEE DEBUTS NEW VIDEO FEATURING BULLDOG ALUMNI FROM TODAY…AND TOMORROW! With voting for the District’s 5-year P.I. Levy on the November 8th election ballot already underway, the Pride in Olmsted Schools Committee today launched a web-based video to help ratchet up awareness of the importance of this levy to the District and, especially, to Olmsted Falls High School where much of the funds will be directed. To view the new video from Pride on YouTube, please click here. A sincere thank you to all of our Bulldog alumni who participated in the filming for this video, and many thanks to parent volunteer Paul Burkart for his generous time and talent in putting this piece together! Thanks also to parent volunteer Kim Cleary for posting this new promo video to You Tube and helping promote it. REMEMBER: EVERY VOTE COUNTS! PLEASE BE SURE YOU HAVE YOUR PLAN IN PLACE TO MAKE YOUR VOTE COUNT FOR OLMSTED FALLS SCHOOLS IN THIS ELECTION! VOTE BY MAIL OR VOTE AT THE POLLS NOV. 8TH – JUST PLEASE BE SURE TO VOTE! 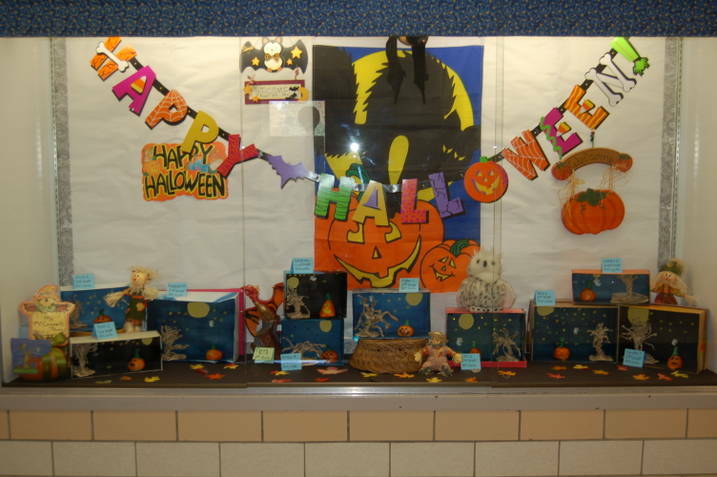 Fabulous Fall art projects are currently on display at Falls-Lenox Primary School. Featured in the display case this week are outstanding pieces created by students during art class with Ms. McConnell- Paul. Please click HERE to view these creative pieces close up. Early Childhood Center – AM Preschool & Kindergarten @ 9:30 a.m. Early Childhood Center – PM Preschool & Kindergarten @ 12:30 p.m.
Falls-Lenox Primary School @ 1:15 p.m.
Olmsted Falls Intermediate School @ 1:30 p.m.
Olmsted Falls Board of Education members Frank Pedicini (President), Joe Bertrand (Vice President), Rhonda McCrone, Jim Weisbarth and Michelle Theriot hold up the giant thank you card sent to them by the young bulldogs from the Early Childhood Center. The students wanted to express their thanks in a BIG way for the Board of Education’s decision to earmark profits from the sale of the old modular classrooms behind the ECC toward the adaptive playground fund. Fundraising efforts are currently underway for this much-needed new playground facility at the ECC. On October 15, our Academic ‘A’ Team traveled to Morgantown, WV for the University HS NAQT National Qualifier. They posted a 9-0 record and are on their way to winning the tri-state tournament. By virtue of their victory in the tournament, they have qualified for the High School National Academic Tournament (HSNCT) in Atlanta, GA Memorial Day Weekend. On the same day, our ‘B’ Team and our JV’s traveled to Copley High School for the Cory Salem Memorial Tournament. The ‘B’ Team tied for second in their bracket. Our JV’s played all Varsity teams and went 0-7. It was a good weekend for the Olmsted Falls Academic Team! 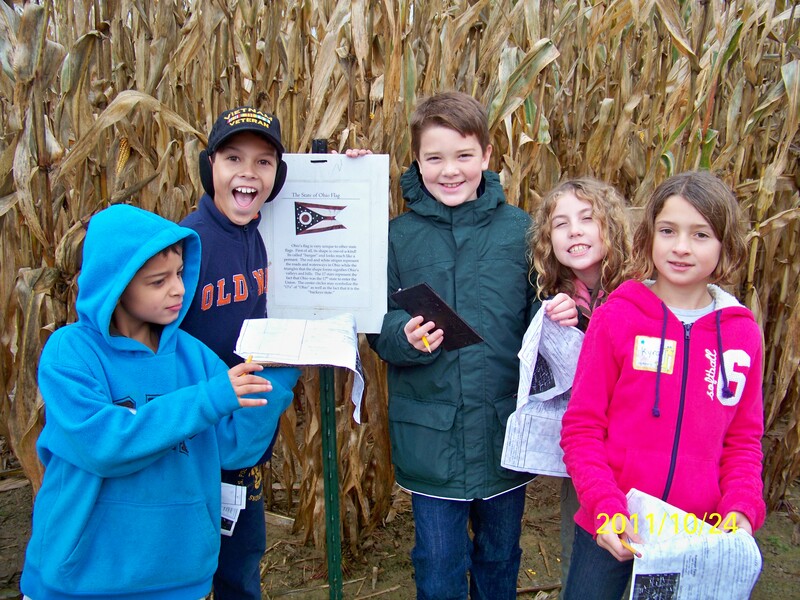 This week, despite the rain, the 4th graders enjoyed their field trip through the corn maze at Remseyer Farms. The kids learned about Ohio cities, famous Ohioans, fun sports info, Ohio presidents, and a whole host of interesting Ohio facts. 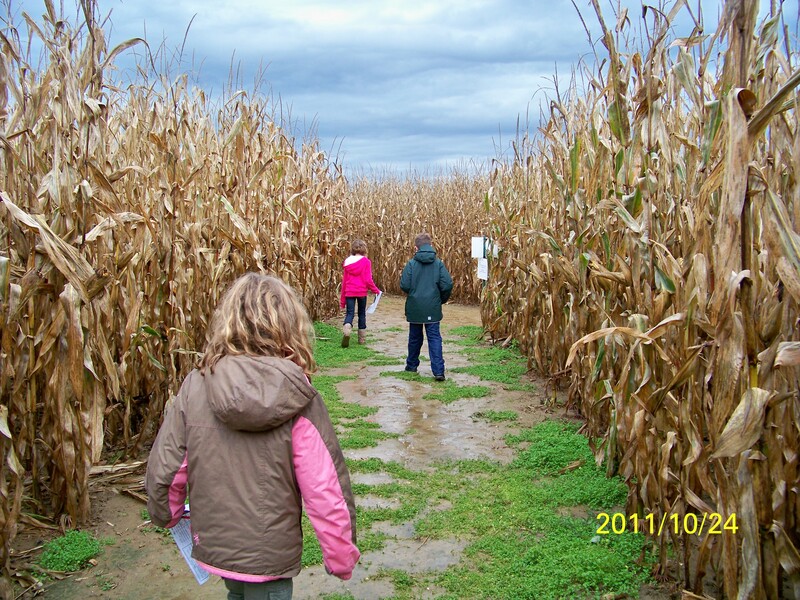 To see an aerial view of the Ohio corn maze, click HERE. For more pictures, please click HERE. 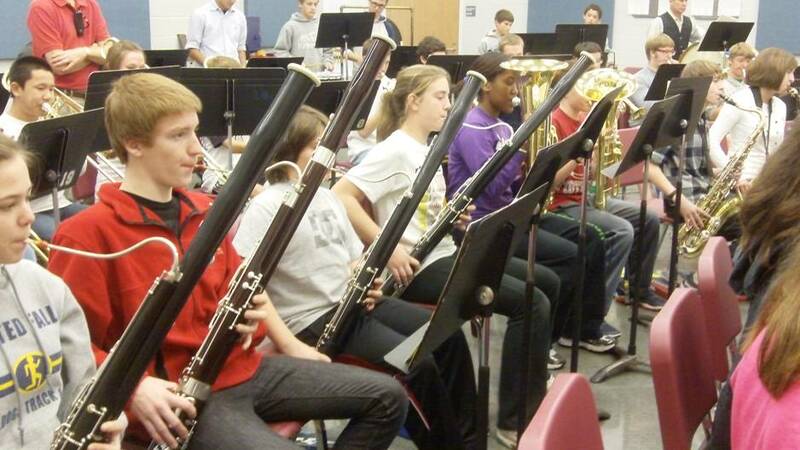 Sixteen High School Band members traveled to the Middle School on Wednesday, October 19th. They sat next to Middle School 8th grade students and played along with them as a way to create a bridge between the Middle School and High School. The Side by Side project will hopefully make it easier for 8th grade students to be involved in Instrumental music at the High School level. For more pictures of this project, please click HERE. The Middle School PTA will be hosting an informational session on the topic of Teen Depression and Suicide Risk Factors on Monday, November 14, 2011 at 7pm in the middle school library media center. The session will review the symptoms of youth depression and warning signs of suicide. One of the school counselors will be present to address this topic. Nate Kanaba, a 5th grade student at OFIS, was selected by AC Milan, a Pro Soccer team from Milan Italy to train with them in Italy in November. This special event enables only the most talented of youth soccer players from around the world to receive an invitation. Kanaba is 1 of 200 children selected to participate. 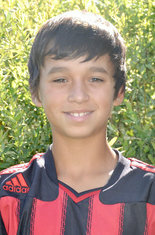 He is currently a right-midfielder for the Ohio Premier and Olmsted Falls U12 travel squads. Congratulations to Nate and have fun in Italy! Baseball hats make a great holiday gift and are a hot item for the kids. There are 3 styles: 1) Our traditional Navy game hat with a gold/white “OF” on front and Paw Print on back; 2) Our brand new for 2012 alternative game hat – White hat with navy/gold “OF”, navy brim, and paw print on back; 3) Snapback hat – navy with gold brim and gold/white OF/Paw. All hats come with a “ProVisor” flat brim and are custom moldable to retain their curve once bent. The game hats are flex fit with 3 sizes from which to choose. In addition all hats are made with performance fabric called Dryve. The Snapback is also a Dryve fabric, not wool, as it is listed on the website and order form. Orders must be placed between 10/24/2011 and 11/17/2011. Please click HERE for the order form and contact information. OFIS PTA FUNDRAISER – ONE-DAY PICK-UP – WEDNESDAY, NOVEMBER 9 FROM 3:00-7:00P.M. Thank you so much to everyone who participated in the OFIS cookie dough fundraiser! Your support will help pay for field trips, assemblies, field day, right-to-read-week, the 5th grade luau and the many other activities sponsored by the OFIS PTA. Our pick-up day for the cookie dough is scheduled for ONE DAY ONLY: Wednesday, November 9 from 3:00-7:00 p.m. in the OFIS cafeteria. This date was purposely chosen to make it easier for pick-up as it coincides with our first Parent-Teacher Conference night. If you have any questions, please feel free to contact Vickie Lofton at tigmic1@sbcglobal.net. From now until Monday, November 7th, the Swim and Dive team is selling Candle Time candles. These candles have wonderful, long-lasting fragrances and come in a variety of scents. They make great gifts for any occasion such as birthdays, teacher’s gifts, and the holidays and candles are appreciated by just about everyone. Cost is one for $10, two for $18 and three for $25. To download an order form, please click HERE. For more information, please contact Swim and Dive team President Ellen Dregalla at 440-235-1364 or email dregalla5@sbcglobal.net. * Reminder to All Mini-Cheerleaders: Please come in your cheer shirts and cheer on our teams!! All girls meet inside the gate for the Powder Puff Game at 6:45 PM!! Friday, November 11, 2011: Wing Night at Slim & Chubby’s (12492 Prospect Road) in Strongsville from 6:30 PM to 9:30 PM. Please come and enjoy a night out with good food, drinks and friends. Tickets are $20 per person and includes food and drink. Please contact us for pre-sale tickets at OFHSpostprom2012@gmail.com. Spiritwear order deadline is November 11th! Show your Bulldog spirit today! 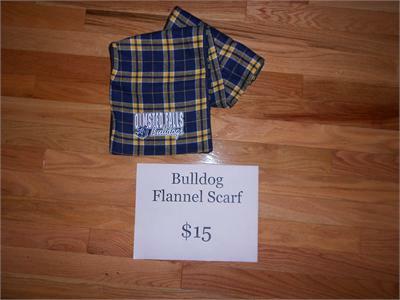 All proceeds from the OFMS PTA Spiritwear sale benefit OFMS PTA and its activities and scholarships. REMINDER: Applications to vote by absentee ballot are NOT being automatically mailed for the November 8th election. HOWEVER, the applications are still available from the Board of Elections both on-line and at various public locations such as libraries. November 8th is just around the corner….and voting has already begun. 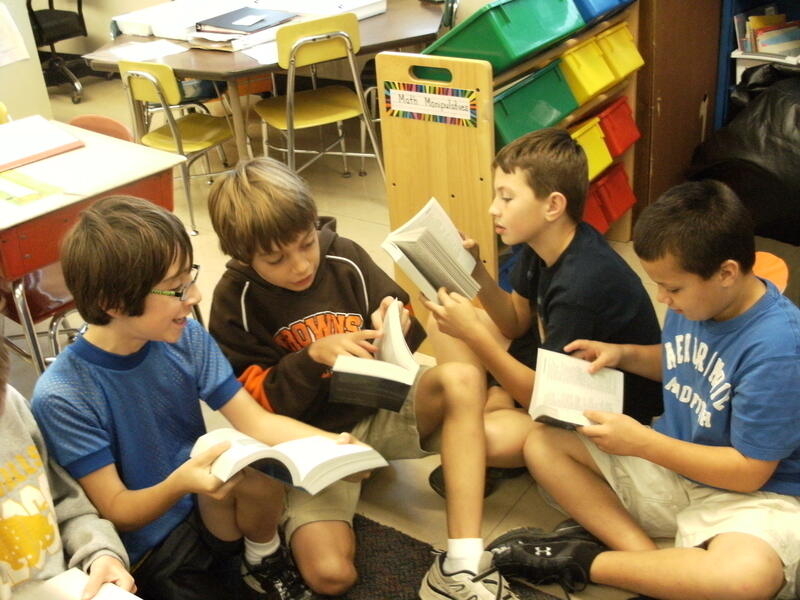 Please help the Pride In Olmsted Schools Committee keep the campaign momentum going for the P.I. 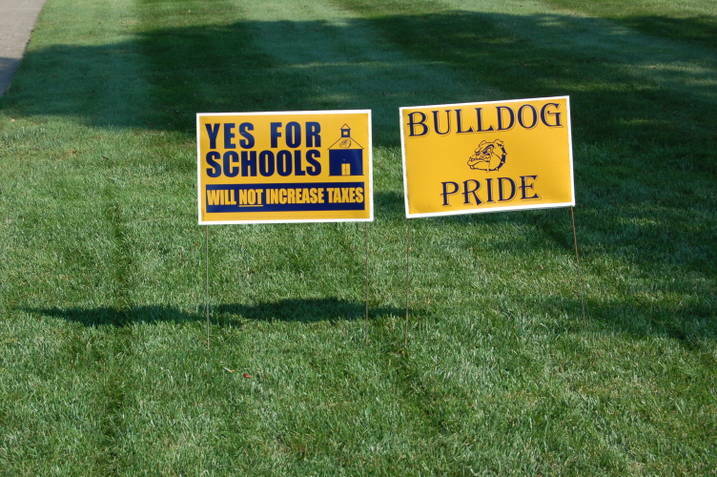 Levy by displaying a “Yes for Schools” yard sign! 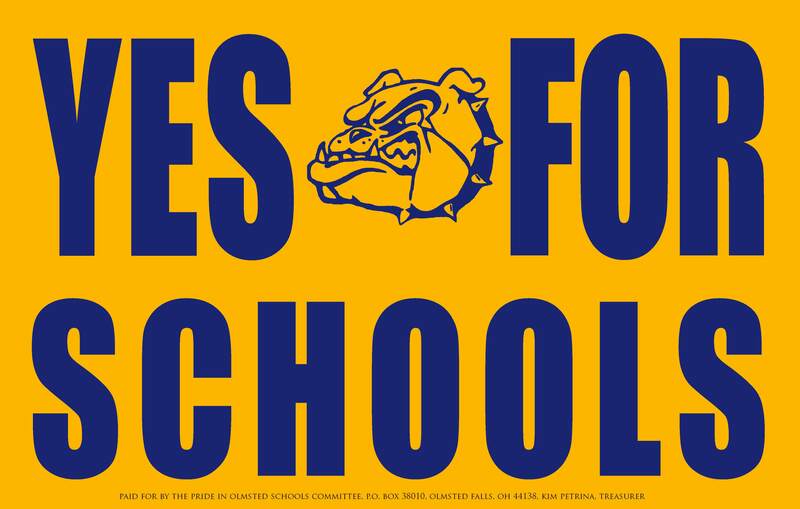 Please include your street address and a “Yes for Schools” sign will be placed in your yard by one of our volunteers. “Walk and Talk!” – Important efforts to reach out to voters with information about the 5-year P.I. Levy will continue and volunteers are needed to maximize the number of voters reached. Please consider joining this important effort to inform the Olmsted community about the importance of the upcoming 5-year Limited Permanent Improvement Levy! 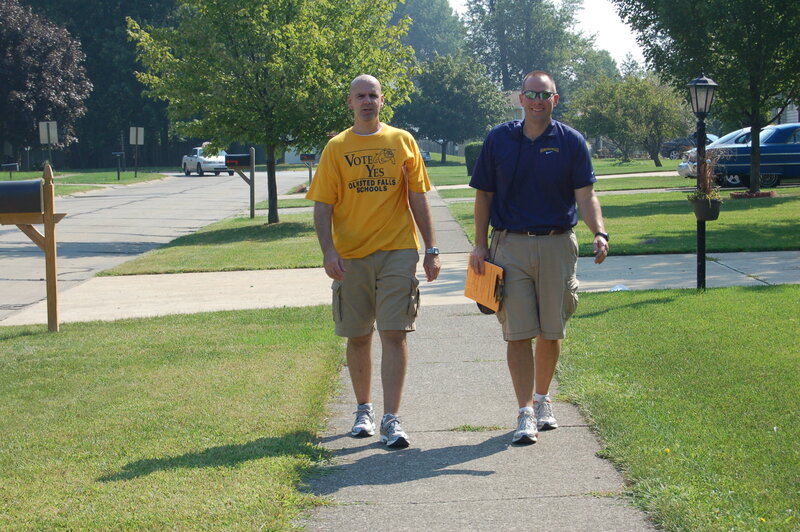 Volunteers are needed for “Walk and Talk” efforts this Saturday, October 29th. A quick briefing/training session will take place each Saturday at 10:15 a.m. at the Board Office, followed by the “walk and talk” from 10:45 a.m. to Noon. It’s quick. It’s easy…some might even say fun! And, most importantly, it makes a difference! Please e-mail thoadley@ofcs.net if you are available to help. Thursday, October 27th – 5:30 p.m. – Annual Trick or Treat Party at Village of the Falls. Please click here for event flyer. Monday, October 31st – 6:00 p.m. – 8:00 p.m. – Cans for Good Food Drive. Trick or Treat for food to benefit the Olmsted Falls Food Pantry! Please click here for more information. Monday, October 31st – 6:00 p.m. – 8:00 p.m. – Community Trick-or-Treating for both Olmsted Falls and Olmsted Township. Saturday, November 19th – 9:00 a.m. – 4:00 p.m. – Holiday Craft and Home Fair. Come enjoy this uniquely fun and entertaining shopping extravaganza for the whole family at the Olmsted Community Center, 8170 Mapleway Drive, Olmsted Falls. There will be Crafters, Exhibitors, Bake Sale, Magic, Balloon Art, Face Painting, Live Music Performances, Raffles and Children’s Make-it Take-it Craft Room. Visit www.olmstedcc.com for more information. been moved to Avon Lake. The game will still kickoff at 7pm. As a result of this change, Senior Night has been postponed until a later date that will be determined. Directions to Avon Lake’s football field can be found by clicking here. Pre-sale tickets will continue in the high school office Friday from 8am until 3pm. * Parent Night: In addition to some great football, come see our seniors who participate in Football, Tennis, Golf, Cross Country, and Cheerleading and their parents get recognized at 6:15 pm. 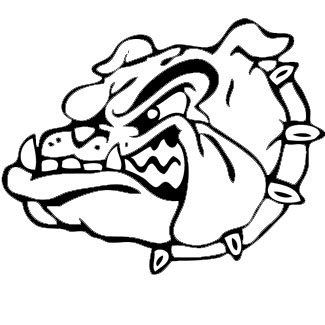 * Two Raffle Drawings: Also occurring at the game will be the announcement at halftime of two lucky winners, one who will win Pizza for a Year from Angelina’s Pizza, and the other will be the proud new owner of the Olmsted Falls Bulldogs Corn Hole Set! There is still time to purchase raffle tickets, but do so early in the game. Tickets for the pizza raffle are $2 each while tickets for the corn hole raffle are $1 each. Good luck! * WEOL Sponsored Canned Food Drive: Canned foods will be collected in a Ford F-150 specially marked with big Second Harvest Food Bank logos on the doors. The food donated by generous people like you will benefit Ohio families in need. Please support this effort by bringing canned goods to the game and placing them into the truck as you enter the game. Second Harvest serves approximately 10,200 people with emergency food assistance each week. Thanks in advance for supporting this effort! If chosen, we have the chance to win $1,000 for our football program! The poll will be open until TONIGHT at 5PM. The chosen Game of the Week will be covered by the Browns, video highlights will appear on ClevelandBrowns.com, and the winning Coach and MVP will be honored during a Browns home game. PRE-SALE TICKETS AVAILABLE: For a matter of convenience, student ($3.00) and adult ($6.00) pre-sale tickets will be sold on Thursday and Friday at Olmsted Falls High School (Student Office) from 8:00am – 3:00pm. 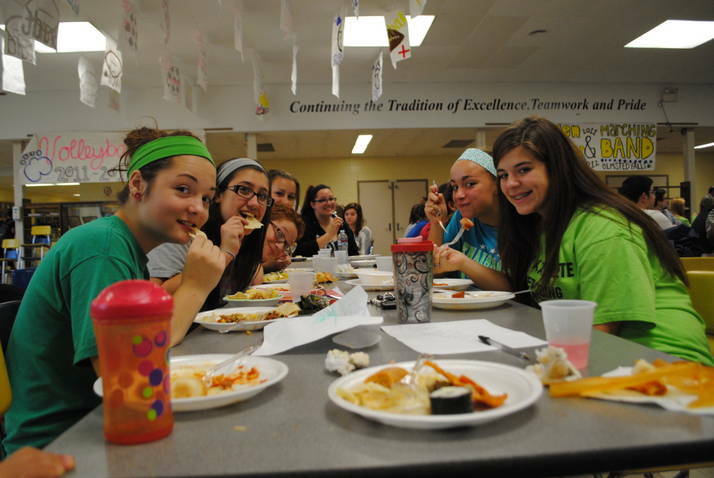 The 3rd Annual Heritage Dinner took place on October 11th with over 300 students and parents in attendance. Hosted by the Multicultural Club, French Club and the Foreign Language Classes, foods from all over the world were represented and a great time was had by all. 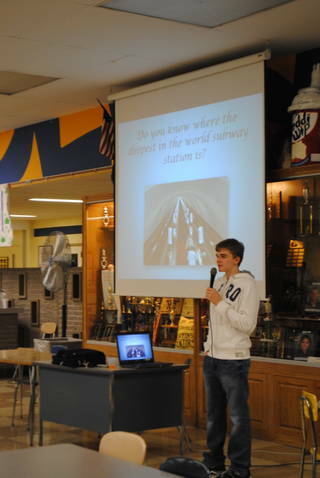 The highlight of the evening was a presentation given by Orest Firsov, who is a foreign exchange student attending Olmsted Falls High School from the Ukraine. As the students, teachers and parents enjoyed their eclectic meal, they also had the opportunity to listen to Orest talk about and show pictures of his country and the Ukraine culture. Cameron Klonowski, Chase Filicko, Josh Lambert, Emily Waugh, Nicole Jones, Marina Snow, Ally Perez, Celina Hayes, Alex Kho, Garrett Bakos and May Alhashash. PTA Speaker Series: Making Sense of the Educational Jargon presented by Dr. Jim Lloyd, Assistant Superintendent. Session 1: What is a year’s worth of learning…for the student, for the parent and for the school district? Please join us this Tuesday, October 25th at 7:00 p.m. in the Falls-Lenox cafeteria. Free babysitting is available – two $25 gift card raffle for all who attend. 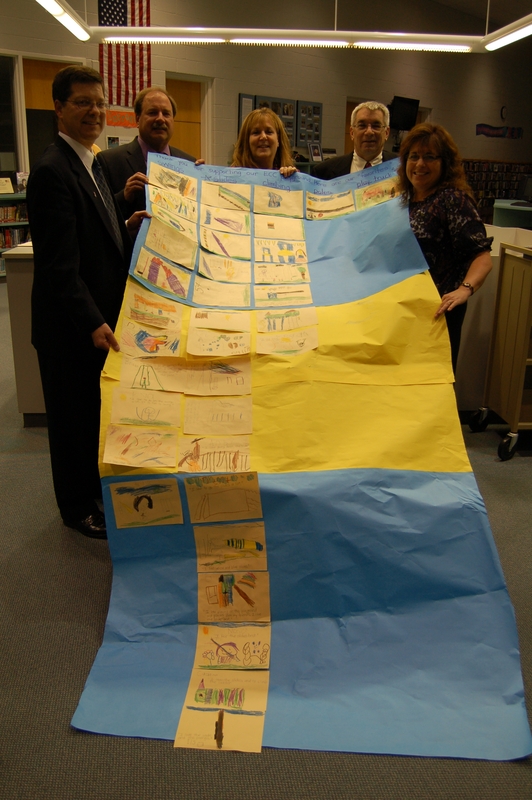 MR. SCHAFER’S 5TH GRADE CLASS ONLY 500 VOTES AWAY FROM FIRST PLACE – PUBLIC VOTING UNDERWAY NOW! 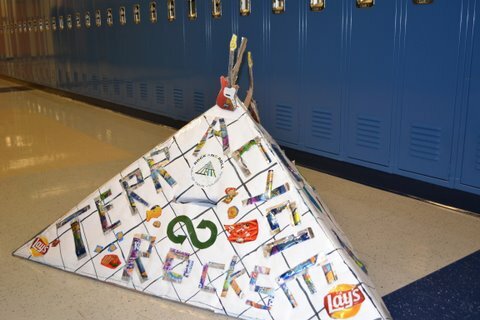 Congratulations to Mr. Schafer’s 5th grade class on being selected as a finalist in the nationwide Box that Rocks Design Contest sponsored by TerraCycle! They are now only about 500 votes away from achieving first place. Please click HERE to vote so that these creative Bulldogs are named the Grand Prize Winner in this national competition. THANK YOU BEREA ROTARY CLUB! 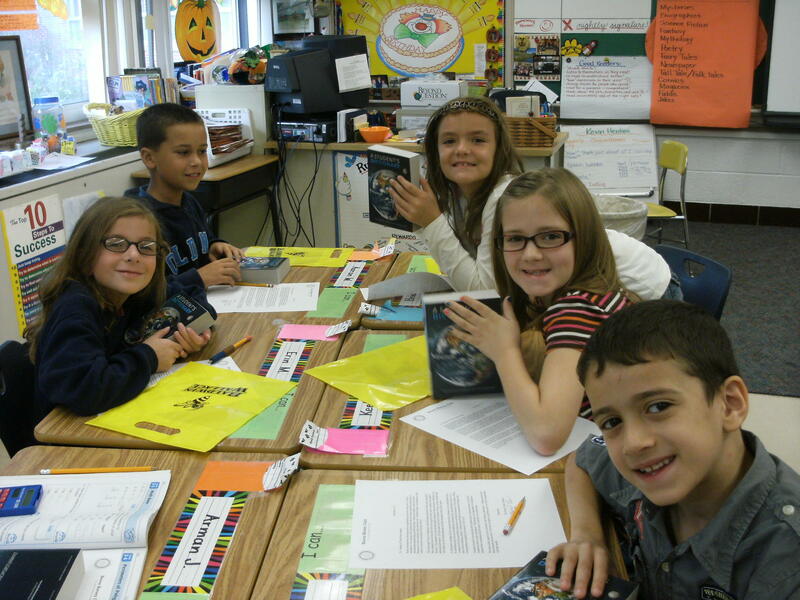 Last week, members of the Berea Rotary Club visited Falls-Lenox 3rd Grade classes to donate brand new dictionaries. 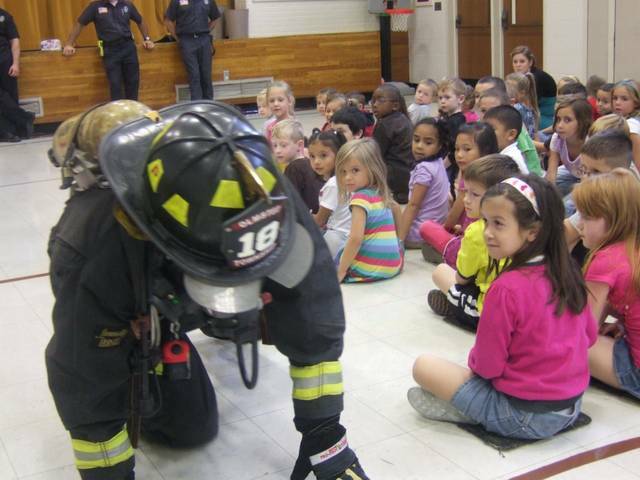 Last week, members of the Olmsted Township Fire Department visited the ECC to teach the students fire safety tips. As you can see from the photo below, the students were very attentive while watching a full gear demonstration. For more photos, please click HERE. 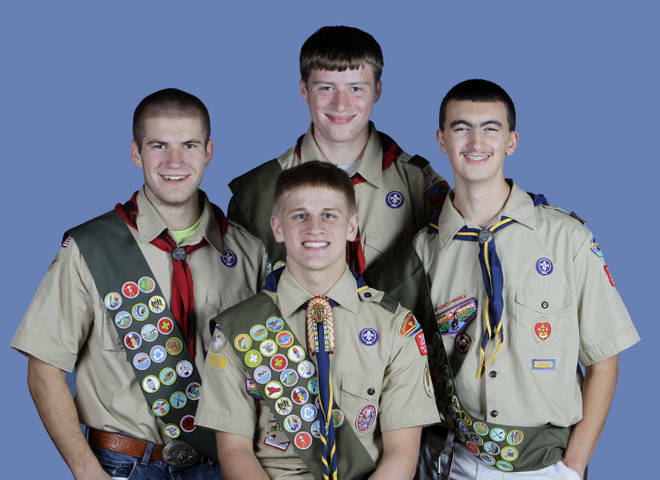 On Sunday, October 23rd, four OFHS students will be honored for achieving Eagle Scout status at the Eagle Court of Honor held at Olmsted Falls Middle school. Congratulations to Chris Fox, Phil Lesiak, Taylor Weber and Jack Sullivan for this outstanding accomplishment. 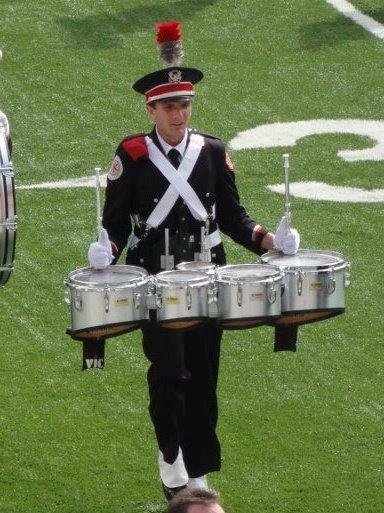 Patrick Laycock, Class of 2010, is a member of The Ohio State University Marching Band. Congratulations Patrick! From now until Monday, November 7th, the Swim and Dive team is selling Candle Time candles. These candles have wonderful, long lasting fragrances and come in a variety of scents. They make great gifts for any occasion such as birthdays, teacher’s gifts, and the holidays and candles are appreciated by just about everyone. Cost is one for $10, two for $18 and three for $25. To download an order form, please click HERE. For more information, please contact Swim and Dive team President Ellen Dregalla at 440-235-1364 or email dregalla5@sbcglobal.net. 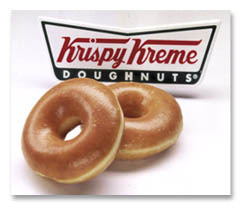 The Olmsted Falls Music Association is currently raising funds to support District music programs through Krispy Kreme Donut Sales at all the home football games. TONIGHT! Wednesday, October 19, 2011: Next Post Prom Meeting – Come vote on this year’s theme! Volunteers are needed for “Walk and Talk” efforts this Saturday, October 22nd and the following Saturday, October 29th. A quick briefing/training session will take place each Saturday at 10:15 a.m. at the Board Office, followed by the “walk and talk” from 10:45 a.m. to Noon. It’s quick. It’s easy…some might even say fun! And, most importantly, it makes a difference! Please e-mail thoadley@ofcs.net if you are available to help. 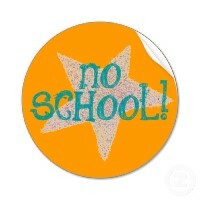 There is NO SCHOOL this Friday, October 14th. The Olmsted Falls School District, along with surrounding districts and districts throughout the State, will be closed for the annual NEOEA Day. Olmsted Falls PTA Council, in cooperation with the Cleveland Chapter of the League of Women Voters, will present a Candidates Night TONIGHT, Wednesday, October 12 at 7:00 p.m. at the Olmsted Falls High School Auditorium. Candidates running for Township Trustee, Olmsted Falls Council at Large, and the Olmsted Falls School Board have been invited to participate. There will also be a question and answer session regarding the Olmsted Falls Schools P.I. Levy. 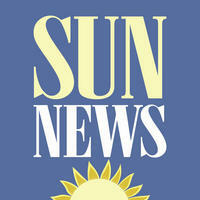 The Sun Post-Herald has formally endorsed the District’s 5-Year Permanent P.I. Levy. To read a copy of this endorsement on-line, please click here. Additionally, Olmsted Township Trustee Sherri Lippus has also expressed support for the levy with a Letter to the Editor, which ran in last Thursday’s Sun Post-Herald. 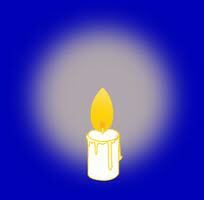 To read the letter from Mrs. Lippus on-line, please click here. Homecoming weekend and the days leading up to it were packed with events for Bulldogs past, present and future. 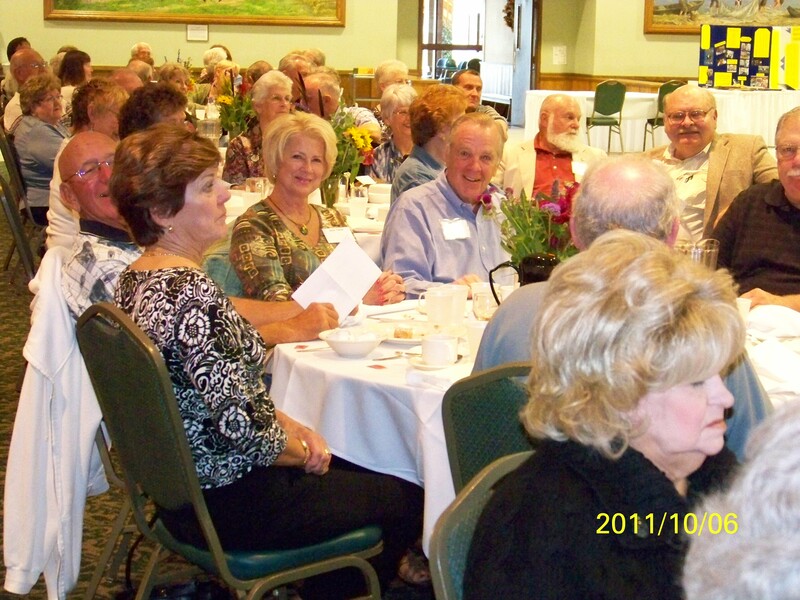 On Thursday, October 6th, more than 160 guests attended the annual Golden Grads Reunion luncheon at the German Club. 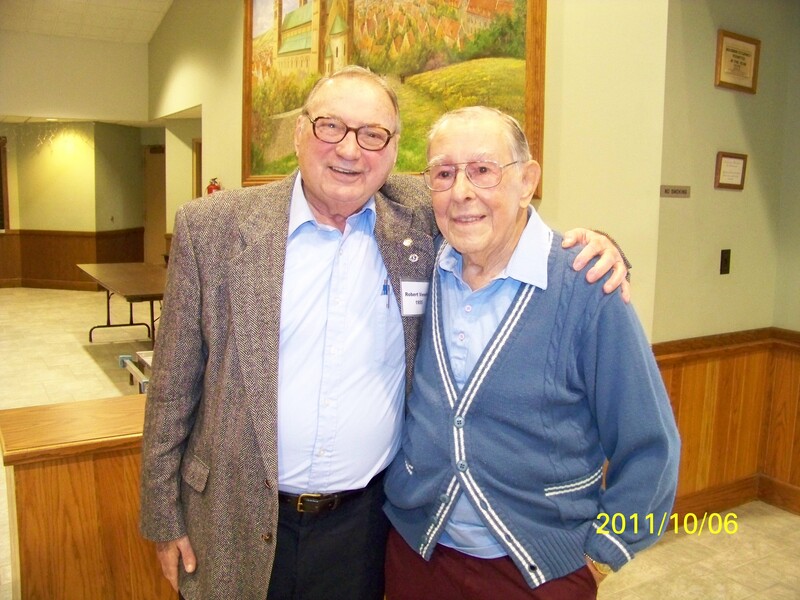 In attendance were alumni from the classes of 1934 – 1968. 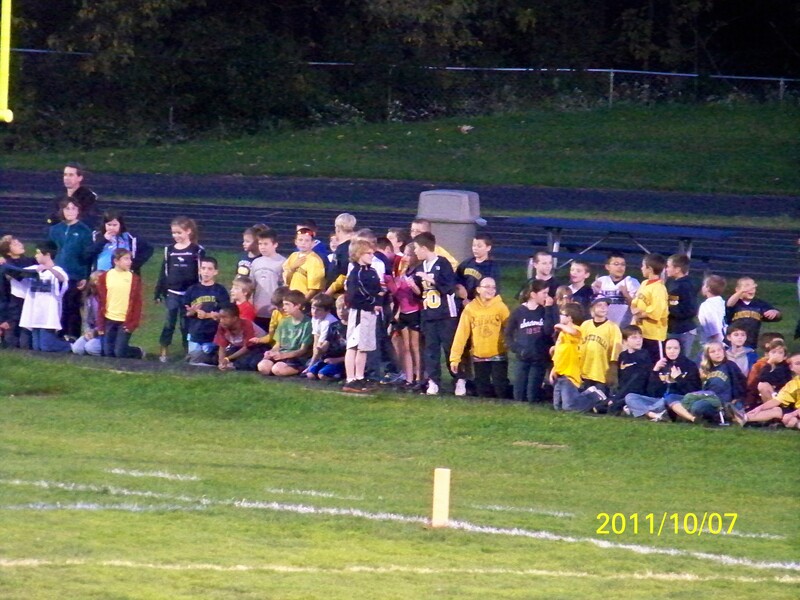 See the Golden Grads section below for more information and pictures. On Friday, October 7th, the OFHS Marching Band invited OFMS 8th grade band students to march with them during pre-game activities. The 8th graders marched while playing the fight song. 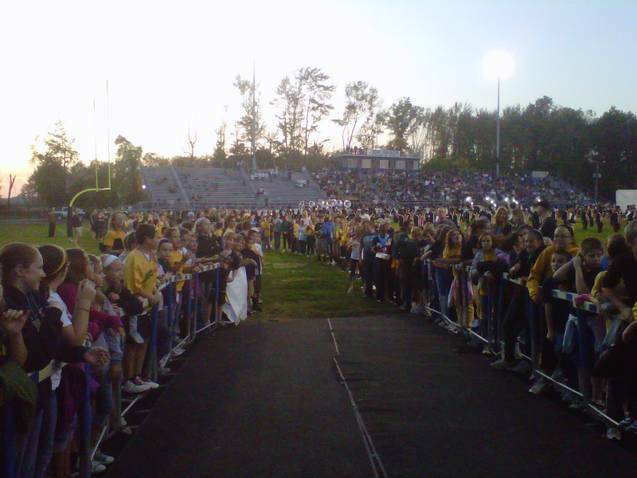 Students in grades 4-12 from the Intermediate, Middle and High Schools joined efforts to form a human tunnel to cheer their varsity Bulldogs as they took the field for Friday night’s Homecoming game. 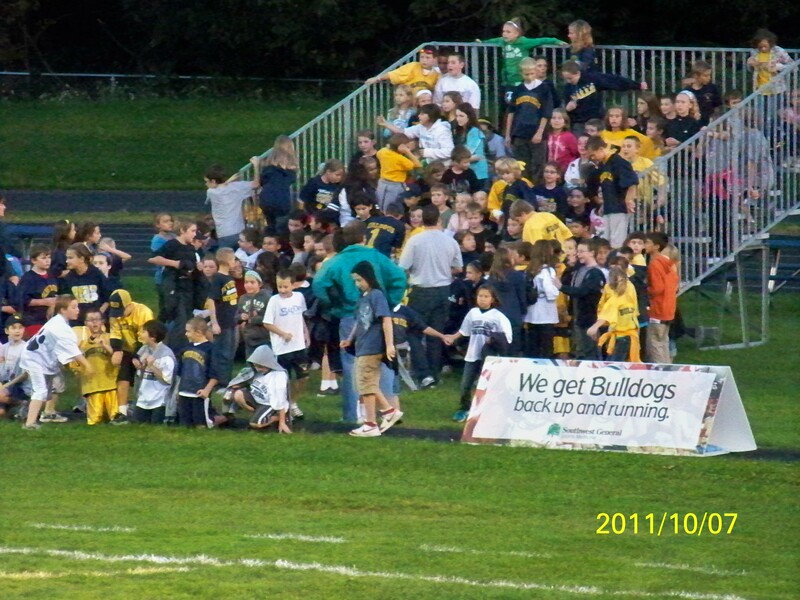 The Bulldog football team brought fans a Homecoming victory with a 39-14 win over Berea. At one of the end zones, loud cheering came from our OFIS 4th and 5th graders who enjoyed a fun night hosted by Principal Don Svec and several parent chaperone volunteers. Go Bulldogs! A special thank you to the Olmsted Falls Kiwanis Club for hosting a free pancake breakfast for the community on Sunday, October 9th. This community event has fast become a Homecoming weekend tradition in the community. Donations collected at this event benefit the Kiwanis Scholarship Fund for upcoming graduates from the OFHS Class of 2012. MR. SCHAFER’S 5TH GRADE CLASS SELECTED AS FINALIST IN NATIONAL “TERRACYCLE BOX THAT ROCKS” DESIGN COMPETITION – PUBLIC VOTING UNDERWAY NOW! Congratulations to Mr. Schafer’s 5th grade class on being selected as a finalist in the nationwide Box that Rocks Design Contest sponsored by TerraCycle! The students designed their innovative entry to replicate the Rock and Roll Hall of Fame and Museum! They used cardboard for the base of the box and placed the window pane design that is on the real Rock Hall. The students used juice pouches and chip bags in the design. They also used scraps of cardboard and cut up juice pouches to make the guitars that are on the top of the pyramid. 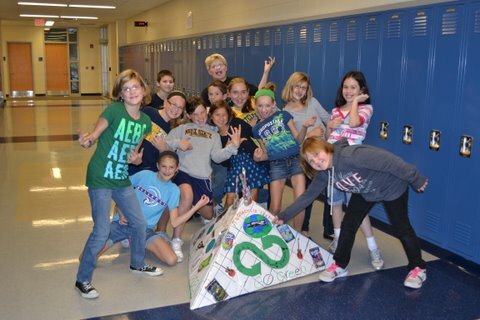 This pyramid is one of two that were made for the center of the OFIS cafeteria to promote recycling. The students designed and built this creative recycling station during recess. What dedication! Kudos to Mr. Schafer’s students on their “rockin” design! 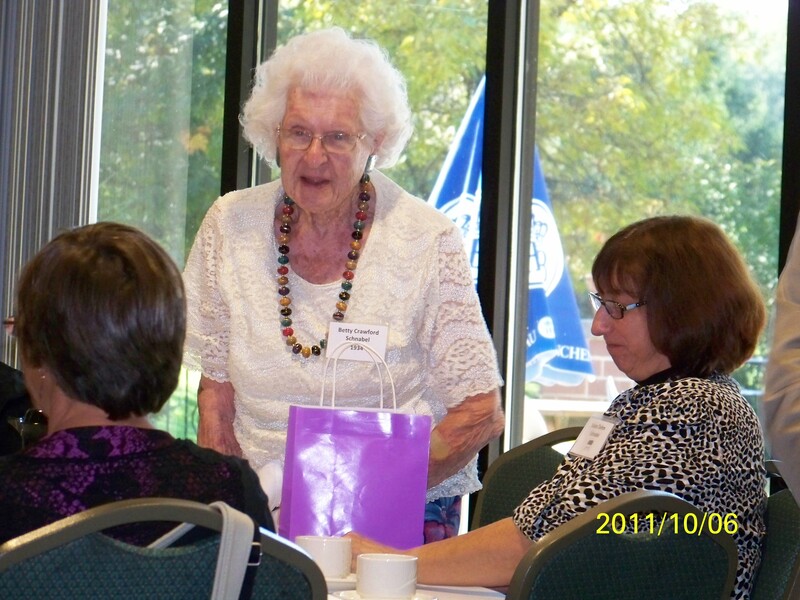 More than 160 guests attended the Annual Golden Grads Reunion Lunch on Thursday, October 6th for Bulldog alumni from the Classes of 1934 to 1968. Many traveled from out-of-town to attend and stayed through the weekend for a variety of reunion and Homecoming festivities. The Class of '61 was well represented; the Golden Grads event was the kickoff to their 50th Reunion weekend! 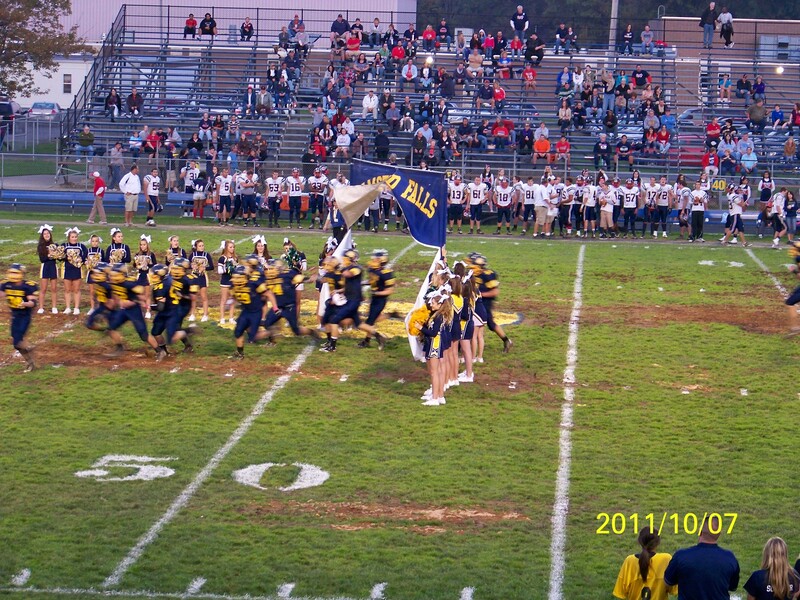 Olmsted Falls High School memorabilia was displayed, which included trophies dating from 1922-1962, yearbooks from 1946-1968, and four donated Olmsted Falls jackets from the years 1939, 1957, 1960, and 1966. 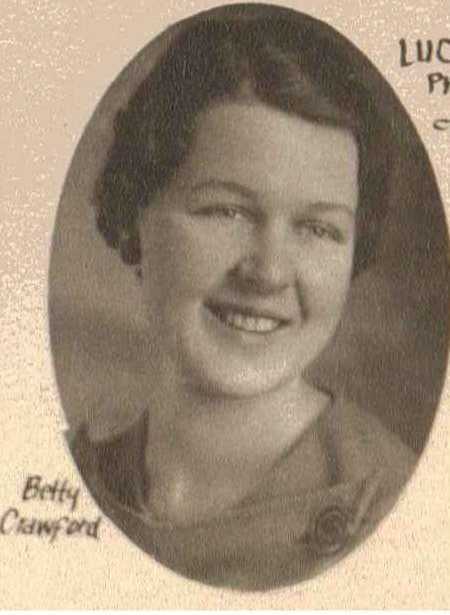 Congratulations to Betty Crawford Schnabel, who won the coveted “Oldest Alumni” award! 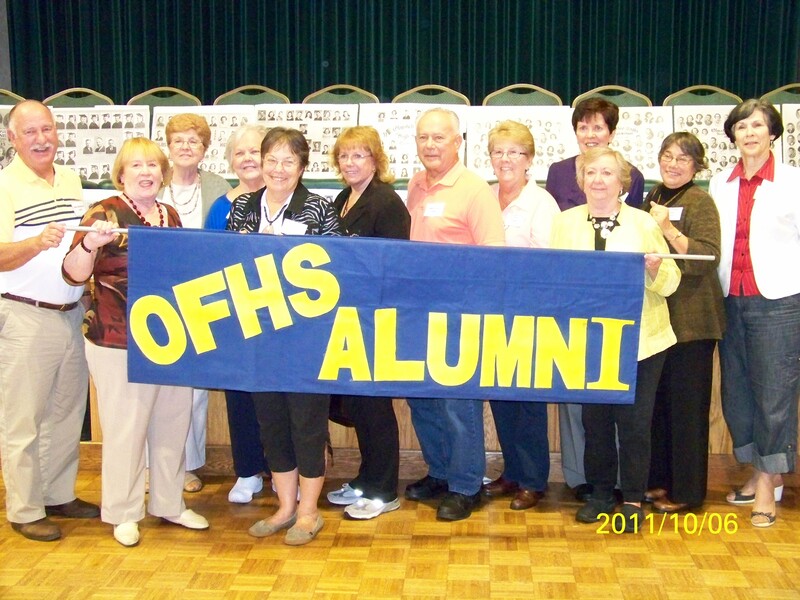 For more pictures of this event, you can click here or visit us on Facebook at “Olmsted Falls Alumni Association.” If you would like to donate any historical Olmsted Falls High School items for future Golden Grads reunions, please contact Jenny McKeigue at 440-427-6030 or email at ofhsalumni@yahoo.com. Students from Mrs. LaGruth's and Mrs. Patay's classes gather to help congratulate Ms. McConnell-Paul (left) and Ms. Wagner (right) on their Artsonia Leadership Awards. While teachers in more than 100 countries showcase their students’ artwork on Artsonia, Ms. Wagner and Ms. McConnell-Paul have created a school community deserving of recognition. During the 2010-2011 school year, Falls-Lenox and the ECC gallery showcased 8869 pieces of artwork which was visited 158,041 times and received 1636 comments from friends and family. 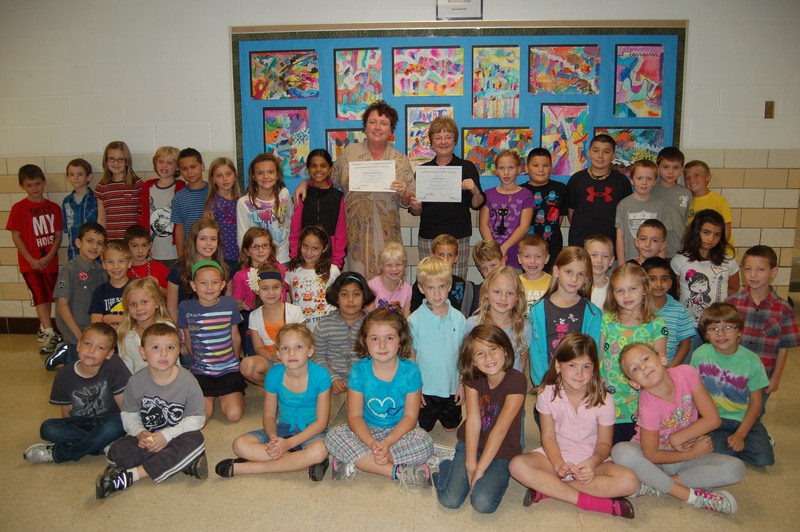 To view the amazing on-line art gallery for Falls-Lenox and ECC, please visit www.artsonia.com/schools/falls1. Special thanks and recognition also goes out to the many PTA parent volunteers who helped scan and post photos of all of the outstanding student artwork! ABOUT ARTSONIA: Artsonia is an online children’s art museum where teachers & parents can upload and share their child’s artwork with family and friends that may not be in the community. Artwork can also be made into greeting cards, Christmas ornaments and aprons to name just a few of the many items available. Not to mention, part of the proceeds from each Artsonia purchase go to our school to help pay for art supplies. ARTSONIA VOLUNTEERS NEEDED: We need your help…Calling all volunteers!!! If you like to take pictures and edit them on-line, this is the opportunity for you! Artsonia is looking for volunteers to help photograph, upload and publish the kids’ artwork. We work on Mondays and Wednesdays from 9:30 am until 11 or noon. If you are interested in helping, please contact either Amy Krogh (amymkrogh@hotmail.com) or Barb Hargenrader (barbcr8m@netzero.net). Congratulations again to Ms. Wagner and Ms. McConnel-Paul, and thank you to PTA for supporting this creative initiative with countless volunteer hours! 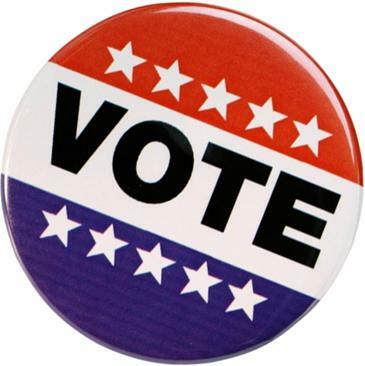 Did you know that residents began voting last week? Absentee ballots began arriving in homes last week for registered voters who have already submitted their Vote by Mail applications. Volunteers are needed for “Walk and Talk” efforts this Saturday, October 15th, as well as the following two Saturdays (Oct. 22nd & 29th). A quick briefing/training session will take place each Saturday at 10:15 a.m. at the Board Office, followed by the “walk and talk” from 10:45 a.m. to Noon. It’s quick. It’s easy…some might even say fun! And, most importantly, it makes a difference! Please e-mail thoadley@ofcs.net if you are available to help. Wednesday, October 19, 2011: Next Post Prom Meeting – Come vote on this year’s theme! 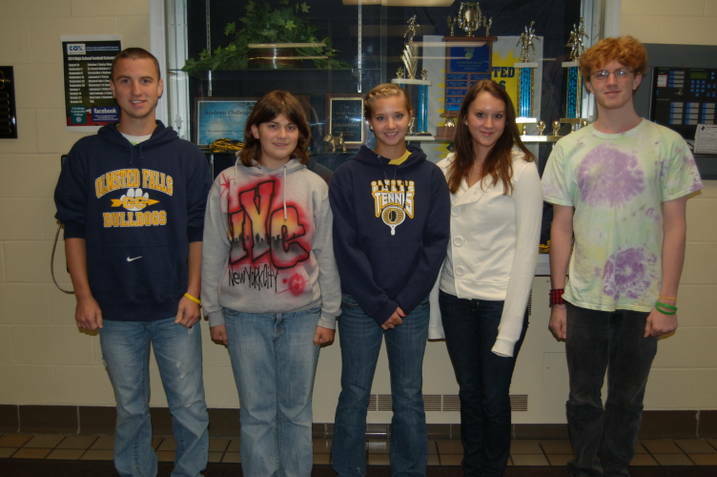 In addition to the two National Merit Scholarship Semi-Finalists announced last month, Olmsted Falls High School is proud to report that five more students have been recognized by the National Merit Scholarship Program. Seniors Kristin Allen, Kevin Candow, Stephanie Kiroff, Hayleigh Sanders and Nicholas Wickham have been named National Merit Commended Students and are being recognized for their exceptional academic promise demonstrated by their outstanding performance on the qualifying test used for program entry. These National Merit Commended Students placed among the top 5% of more than 1.5 million students who took the 2010 Preliminary SAT/National Merit Scholarship Qualifying Test (PSAT/NMSQT) last October. Congratulations to National Merit Commended Students (from L to R) Kevin Candow, Hayleigh Sanders, Kristin Allan, Stephanie Kiroff and Nick Wickham. Joel Penton is a graduate of The Ohio State University and played 5 years of football for the Buckeyes. He was a member of 3 Big Ten championship teams, a member of the National Championship team, and a 4-time Academic All-Big Ten selection. 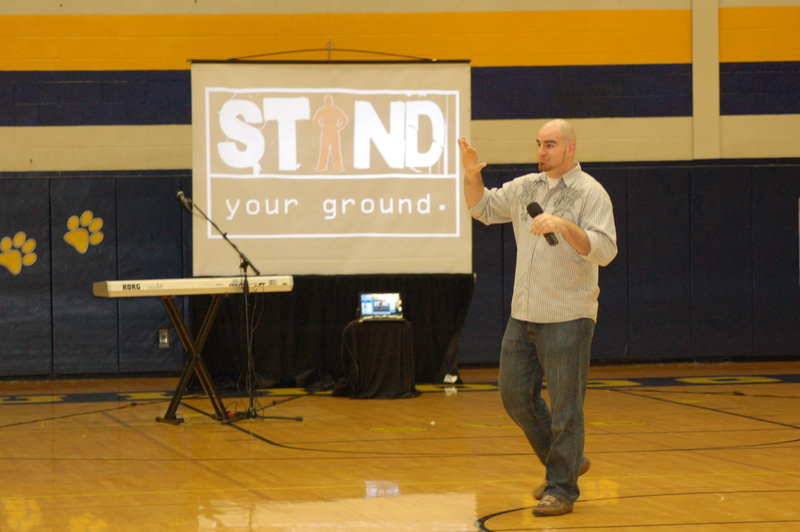 Today, Joel is one of the top youth motivational speakers in the country and has shared his “Stand Your Ground” assembly programs with more than 300,000 students across the country. 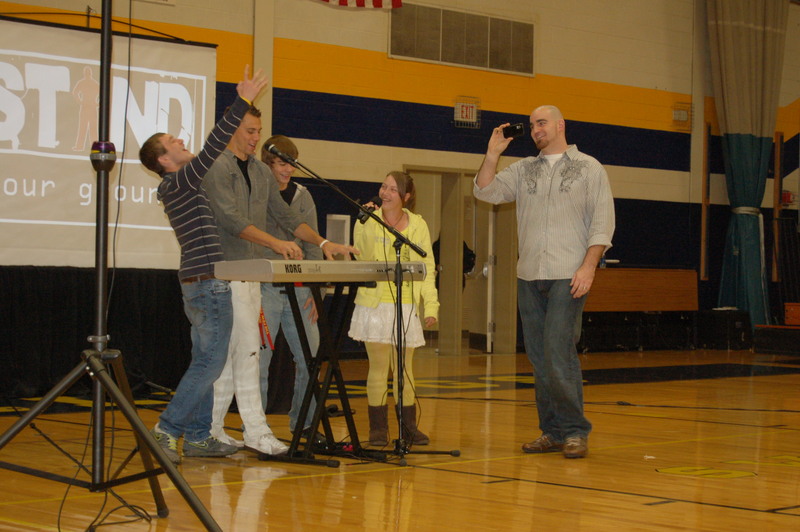 Earlier this week, Joel Penton brought his story to a packed gymnasium at a special all-school assembly at Olmsted Falls High School. During the hour long speaking engagement, Joel delivered an inspiring message about making committments and, more importantly, keeping the committments you make. Joel shared his personal story and spoke about the important roles played by strong character and willpower. His approach to teen issues focuses on the POSITIVE results of good decisions instead of the NEGATIVE consequences of poor choices. Joel was also joined at the OFHS assembly by recording artist Ryan Holliday, who performed one of his original songs as well as took requests from students. Additional pictures of this event can be found here. ATTN: HIGH SCHOOL SENIOR STUDENTS AND PARENTS – COUNSELORS PARTNER WITH COLLEGE NOW TO PROVIDE AN INFORMATION SESSION FOR PARENTS AT OFHS TONIGHT, OCTOBER 5TH, 4-6 P.M.
Meet in the High School Library/Media Center to discuss questions and/or concerns relating to the college application process. The open house format invites parents and students to come in anytime between 4:00 p.m. – 6:00 p.m. TONIGHT to ask questions. All are invited to enjoy a tasty end to Homecoming weekend here in Bulldog country as Kiwanis hosts its annual Homecoming Pancake Breakfast this Sunday, October 9th from 8 A.M. to 1 P.M. at Olmsted Falls High School. Volunteers are needed who are willing to be readers/moderators for the tournament from 8:30 a.m. to 3:00 p.m. Lunch will be provided. 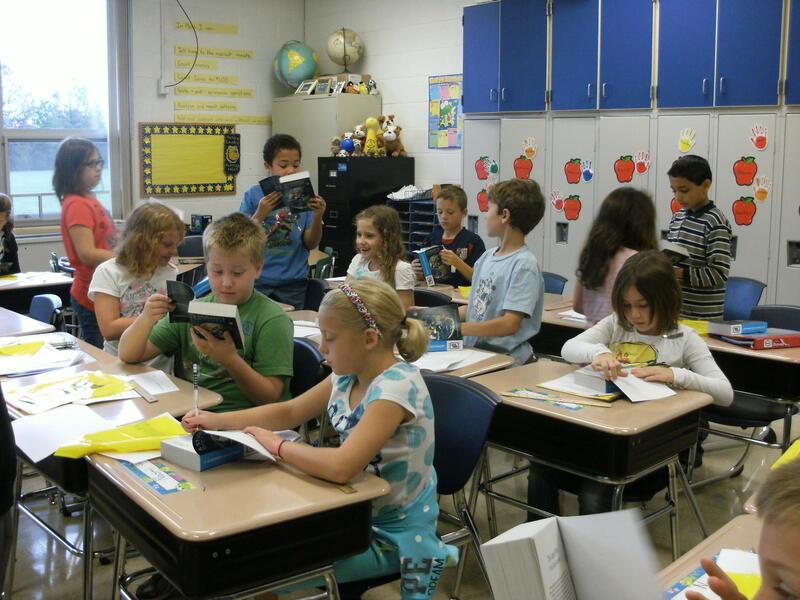 It will involve reading questions, determining if the answer given is correct, and scoring those responses. A training session is scheduled for readers TOMORROW, Thursday, October 6th from 6:30 p.m. – 7:30 p.m. in the Media Center at the High School. This will enable the trainers to teach volunteers how to read/moderate a match, provide the opportunity to ask questions and gain confidence in the role. Olmsted Falls PTA Council, in cooperation with the Cleveland Chapter of the League of Women Voters, will present a Candidates Night on Wednesday, October 12 at 7:00 p.m. at the Olmsted Falls High School Auditorium. Candidates running for Township Trustee, Olmsted Falls Council at Large, and the Olmsted Falls School Board have been invited to participate. There will also be a question and answer session regarding the Olmsted Falls Schools P.I. Levy. TOMORROW, Thursday, October 6th – 8:00 p.m. – Why Teenagers Take Risks Presented by Baldwin-Wallace College. The Baldwin-Wallace College Department of Psychology will present an evening with Dr. Steinberg, one of the world’s leading authorities on psychological development during adolescence. Dr. Steinberg’s research focuses on adolescent brain development, risk-taking and decision-making, family relationships, after-school employment, school achievement and juvenile justice. Free and open to the public. Please click here for event flyer.